Every fan probably has their own list of which stories of 2013 they found the most compelling. Well, in addition to having the job of writing about our game I am also a huge fan and here is my list. Lexi Thompson – Lexi Thompson can move the LPGA Tour back on to the front page of golf news and maybe overall sports news in the United States. The 18-year old is a three-time winner (twice this year) on the ladies tour, has a winsome personality and hits the ball a mile. 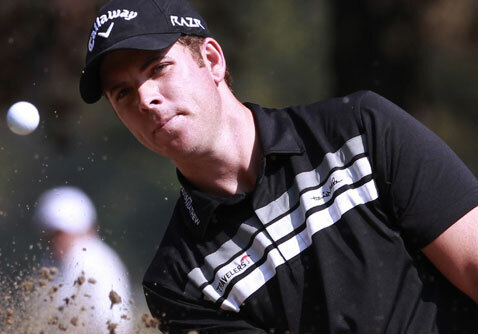 The next step is a major championship and what better time than in 2014? 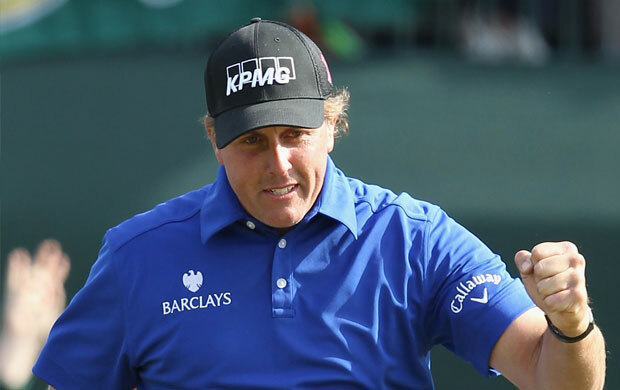 Phil’s Feel Good Win – Lefty is often compared to The King, Arnold Palmer. Each plays with a go-f or-broke style and evokes similar strong emotions in millions of fans. Even though Mickelson is not exactly ancient at the age of 43, his fifth major championship at the British Open last July, serves to remind us not only is he still one heck of a player but one of the best of all time. Tiger’s “So-so” Year – There are a lot of pros who would consider Tiger’s 2013 campaign as a whole career. However by Woods’ own definition it was less than a success even with five wins and $8.5 million since he once again was unable to win a 15th major championship. He did take Player Of The Year honors going away, in spite of being panned by Brandel Chamblee. 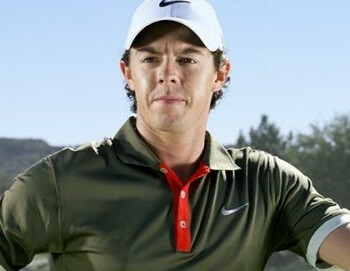 Where Have You Gone Rory McIlroy? 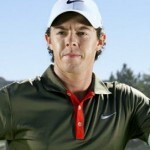 – That was the question everyone has been asking as the supposedly Tiger-apparent Rory was a nonfactor in 2013, a disappointment for sure after winning two majors in two years. Last year I wrote McIlroy was the real deal and that didn’t happen; in fact there were uncomfortable signs his attitude needed to undergo a major change before he could win more majors. Now with his win at the end of the season in the Australian Open over native son Adam Scott, the situation may be straightened out. Let’s hope McIlroy’s new Nike Covert 2.0 driver and impending move to Palm Beach also help him get back to where he wants to be. Slam For Anchored Putters – The United States Golf Association, though they were as usual late in addressing the problem, made the absolutely proper decision to ban the use of anchored putting strokes but not before bellies and broomsticks achieved a career Grand Slam with Adam Scott making use of a belly putter in his win at Augusta. Spieth The Real Deal? – Jordan Spieth started 2013 as a promising 19-year old trying to find a place on the PGA Tour. He finished the season as Rookie of The Year with a win at the John Deere Classic plus nine top 10s and 10th place on the money list and a Captain’s Pick for the U.S. Presidents Cup team where he compiled a 2-2-0 record. My crystal ball may have a crack in it but it sure looks like Spieth is the real deal if he can avoid the sophomore slump. Speaking of Real Deals – Henrik Stenson was the first to ever accomplish an amazing take-it-to-the-bank feat. 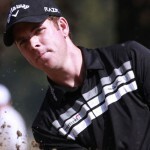 The amiable Swede captured both the PGA Tour’s FedEx Cup and the European Tour’s Race to Dubai. Along the way he won two events on the US Tour including the season ending TOUR Championship and his one victory European Tour it was a good one…DP World Tour Championship. Wonder what 2014 has in store for the long hitting Stenson who makes his home in Orlando? Wraparound Season – Besides the demise of a couple of weaker events there were lots of changes in the world of the PGA Tour including Q-School no longer being a ticket to the PGA Tour but simply a way to qualify for the Web.com Tour. The biggest change though is the 2014 season started this past October. Six events were played then the toursters got the entire month of December off. As yet there is no consensus among fans, players and sponsors but it appears Commissioner Tim Finchem’s move to a wraparound season in addition to being a way to concede the NFL fan’s attention for the second half of the football season, there are some positives. The biggest is more big names playing in fall events now that they actually count for something compared to the lackluster Fall Series which never did capture any fan excitement. Will anyone besides me miss the drama of Tour Schools Finals? Pros are getting shorter off the tee – For the 2013 season was another testament to the poor correlation between driving distance and overall results. The driving distance winner was Luke List at 306.3 yards and he finished 175th in money list. However, the main stream golf media failed to notice another significant stat. This is the third year in a row the longest driving distance was less than the year before. List was over 12 yards shorter than J.B. Homes in 2011 and 9 yards shorter than Bubba Watson in 2012. In fact no one has ever topped Hank Keuhne’s 2003 stratospheric 321.4 yards. Makes one wonder about efforts to “roll back” the golf ball doesn’t it? Want a clincher? In Keuhne’s record year driving distance for the 100th player was 285.3 yards; for 2013 the 100th in distance was at 287.1 yards…less than two yards more. Draw your own conclusions.